This is a funny song, and a serious request. 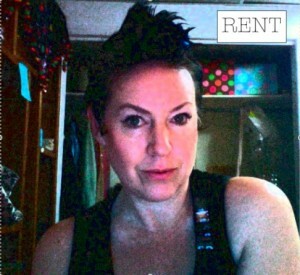 I am hosting a good old-fashioned Brooklyn style rent party here on my blog. The money ran out. Gone. Gotta pay the rent. New job starts soon thank goodness, but this month is a mess. SO, can you help? If you are in a position to, you can become a monthly subscriber for $4 a month and get access to Mp3’s of all BloginSongs. If you would rather you can pay $5 and get my RENT album which features the best 10 songs (in my opinion) from the first year of BlogInSong. That is 50 cents a song! If you can help, I need it. If you can’t help financially then make my day and leave a comment or forward this to your friends. Thank you for listening! A BIG HUG AND THANKS to all my current Monthly Subscribers! Let me know if you have everything you need to download the songs! Can you come to our garage sale? Thinking of you and sending you all the best wishes for love, luck, and lots and lots of record sales.